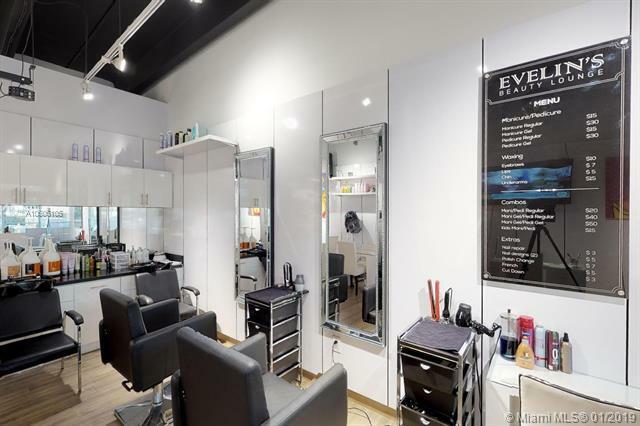 Once in a life time opportunity to purchase a modern and gorgeous Beauty Salon business in the heart of the city! Evelin's Beauty Lounge caters to a large book of business and has an exclusive contract with a nearby medical center servicing 1500 clients. Beautifully finished with wood floors, white lacquer wall panels, track lighting, blacked-out ceiling, chandeliers, flat panel TV, art work, new A/C and electrical. Current layout consists of 5 nail stations, 2 hair stations, reception, bathroom and storage. Floor plan has room for 2 more hair stations. Business only is for sale including name, equipment, furnishings, inventory, book of business, licenses and social media accounts. Excellent location in a very busy shopping plaza across from Mall of the Americas near Flagler and the 826.